To today’s battle over whether they should be cloned from fossil remains. Soon a small River Transport business started near what today is considered the best fishing spot in the area, the Barge Pits. At first the Goochmen, as they came to be known, started trading Yanga with Jamestown as a means of aquiring the few supplies they required for their small community. But in no time traders in Jamestown bought Yanga to place aboard Sailing Vessels for cooking and heat on the dangerous North Atlantic voyages. This was a case when the greater thermal output per weight and volume gave Yanga a substantial advantage over wood. Soon ships at Jamestown about to leave for home up the Thames discovered that by taking extra Yanga aboard they could find a ready market at burgeoning Gin Distilleries first appearing around London. 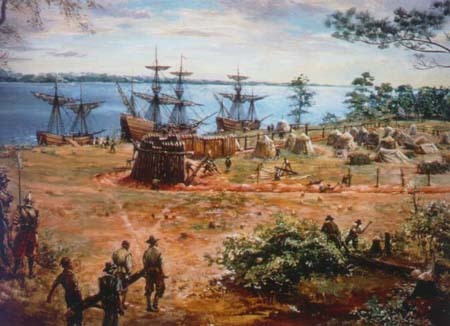 The relationship between Jamestown and London was distant only in miles. the Susan Constant, Godspeed and Discovery, none over 100 tons, sailed from Blackwall under the auspices of a London Company of Merchant Adventurers and founded the state of Virginia. The leader of the party was Captain John Smith. The fortunes of the Goochmen rose with Gin’s popularity because there was no finer source of heat for Gin stills than Yanga. It burned hot, was clean to handle unlike coal, gave off little carbon maonoxide, and perhaps most important of all, highlighted the taste of the juniper berries, which predominates in Gin. Then, shortly after midnight on Sunday, September 2, 1666 a fire broke out in London which burned 5 days and killed 100,000 people. The only thing which spread faster than the flames was the rumor that Yanga, in the hands of a careless distiller, was to blame. The fire centered in Pudding Lane, among warehouses storing timber, rope, oil and pitch (tar). But it took time before authorities officially declared Thomas Farriner’s bakery on Pudding Lane to have been the fire’s origin. Soon the demand for Gin continued to grow as if the fire never had happened. 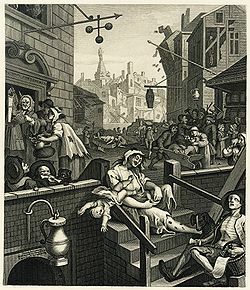 In London, Gin became the preferred drink of the working classes. During the Gin Craze of the early 1700s Gin outsold beer in London by a wide margin. There were estimated to be 8,000 Gin mills in London alone. For the Goochmen of Virginia, however, the party would soon be over. 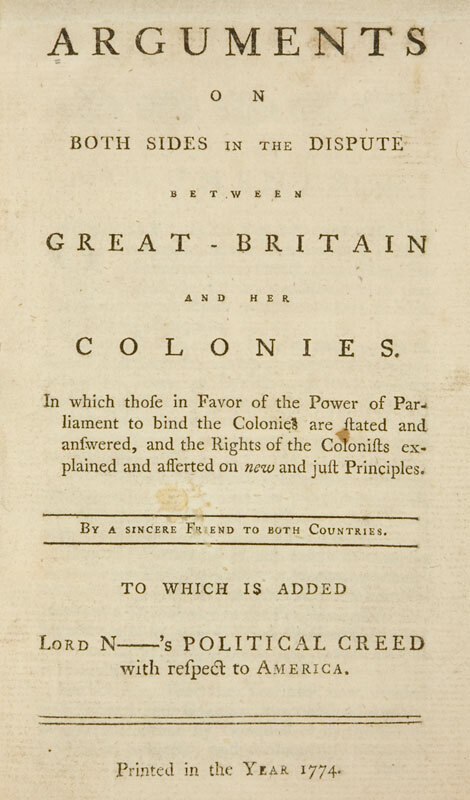 The Colonies which had formed long after Jamestown’s founding were about to confront Britain with a Declaration of Independence, and for the Gooch and Goochmen, both of whom thrived under the Crown, there was no way to opt out.